Accelerated lifespan tests on the low speed shaft bearings. Accelerated lifespan tests on gearbox gears and bearings. Functional and load tests on high speed shaft brakes and brake pads. 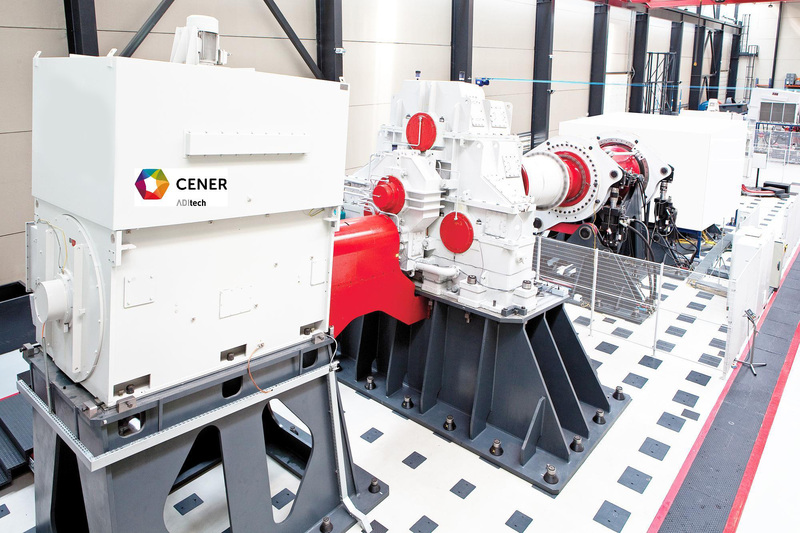 Functional, load and accelerated lifespan tests on the bearings of the generator and on the coupling of the HSS high speed shaft. Functional and accelerated lifespan tests (mechanical/ electrical/thermal) on the generator and power electronics. Electrical transient simulation. Voltage dips. Generator characterisation measurements: Winding resistance, insulation, wave forms, discharge curve, short circuit curve, rotor inertia. Functional tests: No load testing, vibrations, acoustic noise, heating. Overspeed tests and transient surges. Functional test on the complete nacelle. Field assembly simulation. Possibility of using auxiliary assembly cranes. Simulation of maintenance operations, including major corrections. Training personnel in the assembly and maintenance of wind turbines. Training in evacuation and safety operations in wind turbines.